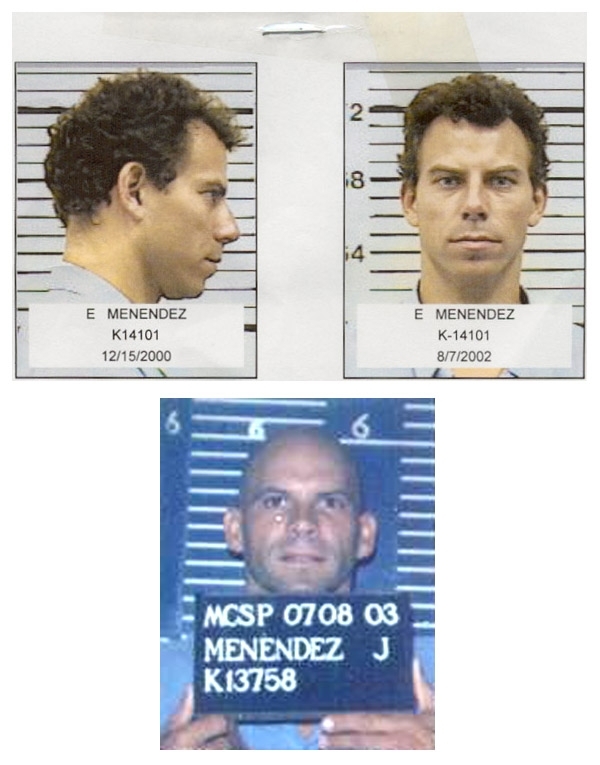 Brothers Erik and Lyle Menendez are serving life terms for the 1989 shotgun murders of their parents. Erik is pictured above in an August 2002 California Department of Corrections mug shot. His older brother Lyle (whose given name is Joseph) is seen in a July 2003 shot taken at the Mule Creek State Prison. Submitted by lisasmurf82 on Tue, 2011-03-29 15:38. Submitted by viceb on Fri, 2011-05-06 05:07. The top two pictures are the same person, genius. Submitted by lmowery on Mon, 2010-10-04 14:57. Submitted by lmowery on Fri, 2010-10-01 12:09. Submitted by truthbetold on Wed, 2010-09-01 04:06. What makes a child kill their parents? Submitted by GeorgeDubyaBush on Thu, 2010-09-30 11:46. Lack of respect and morals, and Impatience for an inheritance.